Samajwadi Party to field Shatrughan Sinha against PM Modi in Varanasi for 2019? At the event, Shatrughan and Yashwant launched a full-scale attack against the Modi-led National Democratic Alliance. LUCKNOW: The presence of Actor and Bharatiya Janata Party (BJP) MP Shatrughan Sinha and former BJP leader Yashwant Sinha on Thursday at an event to mark the birth anniversary of freedom fighter Jayaprakash Narayan that was organised at the Samajwadi Party (SP) headquarters in Lucknow, has set off speculation that the actor may contest the 2019 Lok Sabha elections against Prime Minister Narendra Modi on an SP ticket. After the event, SP chief Akhilesh Yadav held a closed door meeting with Shatrughan as well as Yashwant Sinha. SP leaders, who did not want to be named, said they had drawn Yadav’s attention to Sinha. They added that the decision is still pending but deliberations are ongoing.Lately, the actor has been voicing his displeasure against the BJP government’s publicly. However, he has not faced any action from the party so far. 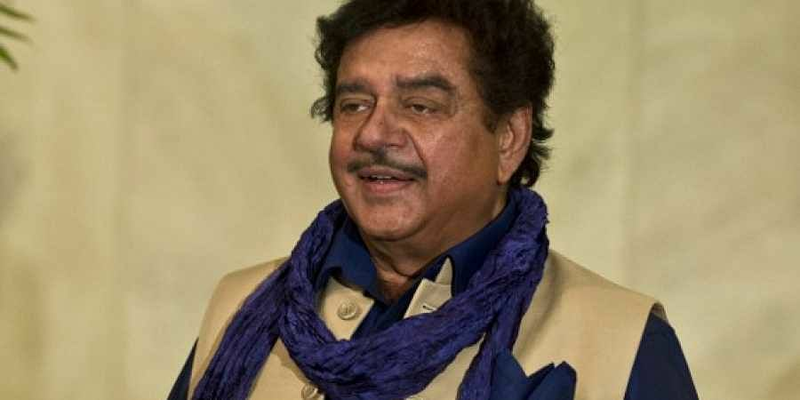 There is a feeling within the party that Shatrughan may find a large following among the Kayasths in Varanasi, which is adjacent to his home state Bihar, said above-mentioned sources. Speaking about the Rafale deal, Shatrughan exhorted the Centre to clarify its stand on the deal. “Why was Hindustan Aeronautics Limited (HAL) denied a role in the deal despite having expertise in making planes?” he asked, raising questions on the credentials of Anil Ambani’s Reliance Defence saying it was included in the deal “without even having manufactured the components of a motorcycle so far”. Shatrughan also touched on the issue of the demonetisation, claiming it was not a decision taken by the BJP as a party. “I am not against the party. I am against those people who are autocratic. Demonetisation was not the decision of the BJP. Demonetisation and the Goods and Services Tax (GST) have ruined the poor,” he said. “People often ask me why I speak against the BJP despite being its member. I tell them that I speak the truth. If speaking the truth is rebellion, then I am indeed a rebel,” he added.Yashwant Sinha described the scenario in the country as “worse than the days of the emergency”. He called upon the anti-BJP parties to stitch up a strong and formidable ‘mahagathbandhan’ (grand alliance) to ensure the saffron party’s ouster from the Centre in 2019. “If people do not wake up even now, it will be too late,” he said. Not a good idea. They are sure to lose and their reputation Will be devalued. Why not Mulayam or Akhilesh stand against Modi. They know the reality.